2015年03月02日 - nemunoki paper item 3days shopご来店、WSご参加 thanks! 2012年08月25日 - hug 3days shop open! 2011年10月20日 - chuo-sen a go go!出発は金曜日! 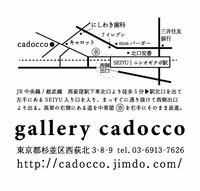 2011年10月12日 - 次回イベントChuo-sen a go go! !